A Nice Walk in the Woodland | Wild Cookery! This will be a work in progress, but it will be a place that I post pictures from my woodland walks, (and non-woodland walks) along with some brief descriptions of what you are looking at. This is an Aspen tree that is loaded with Oyster Mushrooms (Pleurotus Populinus) I am very much hoping that this re-fruits this year. Thanks for this page showing an edible mushroom. Most people are afraid of picking wild mushrooms because some are poisonous. So, thanks for showing the way! I see these on the conifers in our woods. First, I did not know those were edible, and second, do you know if the host tree affects flavor? Aspen oyster mushrooms only grow on aspen and poplar. Could have been another kind of oyster mushroom. Certain trees you never want to collect mushrooms from, such a eucalyptus, as they’ll depart a toxic quality to the otherwise edible mushrooms. I’m not too sure on the pine tree however. I’ve had plenty of mushrooms growing out of a dead pine tree, but didn’t’ have the time or inclination to research if they were of the edible variety whilst they were fruiting. I’m far from an ‘expert’ mycologist, however. (Though I thoroughly distrust anyone who considers themselves an ‘expert’ on anything.) 😉 I eat a few varieties of wild mushrooms that I know are safe, such as the oyster mushrooms, and many boletus, of which there are no deadly toxic varieties. Boletus are polypores, and have holes instead of gills. 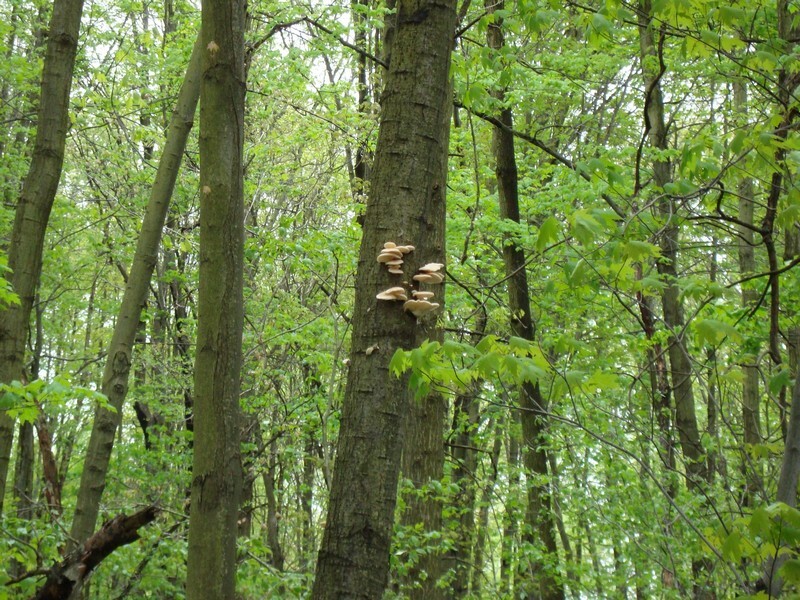 Why are these mushrooms eaten by woodland animals? Eating what an animal eats is a surefire way to end up dead, especially when it comes to wild mushrooms.